Knowing all the necessary information pertaining to travel insurance is not always easy, even for frequent travellers. Most people don’t have an idea of what is exactly covered in their policies because many of them don’t read what’s written in the terms and conditions. Most policies are filled with jargon so regular people don’t really understand what the terms mean. Excess travel insurance, in fact, is a bit complicated. 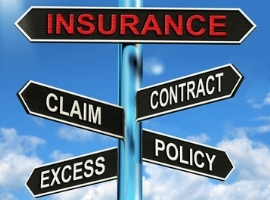 In essence, the excess aspect of your insurance policy is the amount you agree to pay. Your insurance provider takes care of the remainder of the cost with due consideration to the coverage limit that you chose. What that means is that instead of your insurance provider paying the amount of coverage when you file a claim and then you paying the rest, you need to pay the amount and then the insurer pays for the remaining cost. So, if for example, your excess is £500 and the total cost of your medical expenses while travelling is £700. You will need to pay the £500 and your insurance company will pay £200. All kinds of insurance can have excess – car insurance, home insurance, life insurance, and others. So it’s not just limited to travel insurance. Is Excess Travel Insurance Good or Bad? Perhaps the only glaring advantage of increasing your excess is that you will be paying a lot less in insurance premiums. That’s because insurance companies think that the higher the excess, the lower their risk. Hence, they lower your premium if you agree to pay excess. On the other hand, you also need to remember that by increasing your excess, you are in effect, risking your finances in case you do get into some problems while travelling. For example, if you get sick and need medical attention, you could very well pay a huge sum of money out of pocket. In the end, it really depends on whether or not you think your trip puts you at risk of getting sick, losing your luggage or travel documents, or getting into an accident. If you are just going on a single trip, then getting excess as part of your travel insurance may be a good idea because it means you’ll pay lower premiums and there is very little chance you’re going to need your insurance policy anyway. Going on multiple trips in a year also poses little risk. On the other hand, if you are getting long stay travel insurance and plan to travel for a period of 2-6 months, or even an entire year, then waiving your excess may be the right thing to do. When you are travelling for a long period of time, it’s possible that you could get sick, injured, miss your flight, etc. You may have to pay a fee to waive the excess but at least you don’t have to say good bye to a large amount of money if you need to make a claim!